The duty of the defenders is primarily to ‘defend’ their goal and as I said in the previous post, the defenders and the goalkeepers are usually fingered when a team concedes. Depending on who you are listening to, they say attack is the best form of defence so we could add the attacking contribution of our defenders while examining their performance this season. We began the season by bringing Uche John from Kaduna United and Chibuzor Madu from Rangers. The idea was to get a befitting partner for Chinedu Udoji at the heart of the defence. There was Emma Anyanwu and of course Semiu Liadi who played so well previous season. Then there were the fullbacks, Markson Ojobo who could play anywhere across that backline, Ugwu Uwadiegwu, Bala Zakka and Bright Esieme. Our Defense came into the season with the impressive record of having gone the previous one without conceding at home. Things were however to change as early as our first major game this season. A CAF Champions League qualifying fixture against Anges de Notse of Togo. We won 3-1 in the first leg and lost 1-2 in the second. Ok let’s say we were yet to shake off the early season cobwebs but after shutting out Sunshine Stars in Akure, we conceded in our first home game of the season through an own goal- Signs of things to come. We would go on to concede 27 mostly away from home and mostly defensive blunders and penalty kicks. Talking of penalties, I’m not one who believes non existent penalties are thrown to home teams against better opponents because I have seen many games where these penalties are the right calls. Imagine in a game where the home team made 15 attempts against 2 of the opponents, is it unlikely that this pressure could force a defender into an error that results in a penalty? Hence we must take responsibility for the handballs and reckless challenges in the box that saw us get punished with penalties this season. I saw a number of games this season especially at home and I know some tackles and challenges we made would not receive the kind of leniency they received if we were playing on away turf. We conceded so many late goals this season. Some penalties, some in open play. We narrowly lost to Bayelsa in Benin, a place where those small boys from Umuahia went to and got all three points. We drew to Abia Warriors in Umuahia because we couldn’t shore up at the back after taking a 3-2 lead so late in the game. In the course of the season, Kadiri Ikhana would field 5 defenders especially in away games, but that tact did not work as we waited till so late in the season before getting an away win. Our worst performance was away at Nasarawa, a game I believe was Madu’s last game for us. We have heard endless cries of how we were robbed in matches and so on, how about the games the whole country saw on TV? 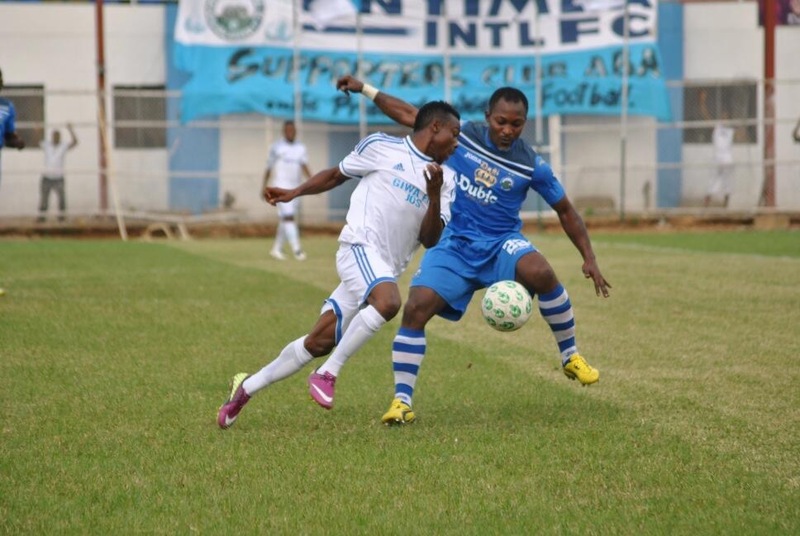 (Pillars in Aba, Warriors in Umuahia, Heartland in Owerri) Our ability to switch off at vital moments in matches troubles me greatly. Against Sharks of Port Harcourt in Aba, we were down by 2 goals less than a quarter of the game played. Against Pillars in Aba, in the last game of the season, we were leading 2-0 only to take a quick nap that saw Gambo pull one back for them. In the coming season, we must rid our Defence of this ‘switching off’ button because In a league such as ours, small margins of error can cost you games. We saw that in our Champions League encounter against AS Real Bamako. We shipped in two and went to their home looking for miracles. It never came. It won’t be all criticism anyway because the defence did impressively going forward especially our fullbacks in a number of games. Notably is Ugwu Uwadiegwu who was a danger from set pieces this season. He scored 4, and that’s more than some of our strikers this season. Ojobo too enjoyed his forays upfront, so did Bala Zakka. Back to the defensive responsibilities, there wasn’t any game where we lost by more than a one goal margin. It was either 2-1 or 1-0 and that is very good. I doubt if any other team could boast of such record, except maybe Heartland, I’m not sure but my rating for the defence this season is largely influenced how good we know we can be rather than how we performed when measured with others. Quick mention though, how well we defended in the Federations Cup finals. Impressive impressive stuff. I highlighted that here, in my review of that game. Yes, we are one of the two teams that conceded the least number of goals this term but it is disappointing, how we threw away our proud impregnability at home so early in the season. This has prejudiced my grading. Previous postEnd of Season Report Card. Part I The GoalKeepers.